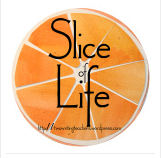 Two Reflective Teachers: Slice of Life: What does it really say? Funny and yet so much wisdom . . . "And, I'm sure that more times than we know, students miss questions not because they don't understand the content we're assessing, but because of some other factor that gets in the way." There are so many "other factors" that get in the way of our assessment of students. Your example made me chuckle too but also realize that assessing reading is not that exact of a science. We have to make many assumptions until we can be certain we are on the right track. Funny story. I believe that if a study was done to answer your question about interpretation and misunderstandings we would discover a huge correlation. My gifted students often read and process quickly, so quickly that they can totally mess up and not show their true knowledge.